Crepes are a real treat for food lovers of every variety. Whether you are drawn to the sweet, the savory, or the sweet and savory, there is most likely a crepe out there with your name on it. Today we will take a look at twenty examples of this delicious delicacy that you can make to blow the minds of your friends and family members. 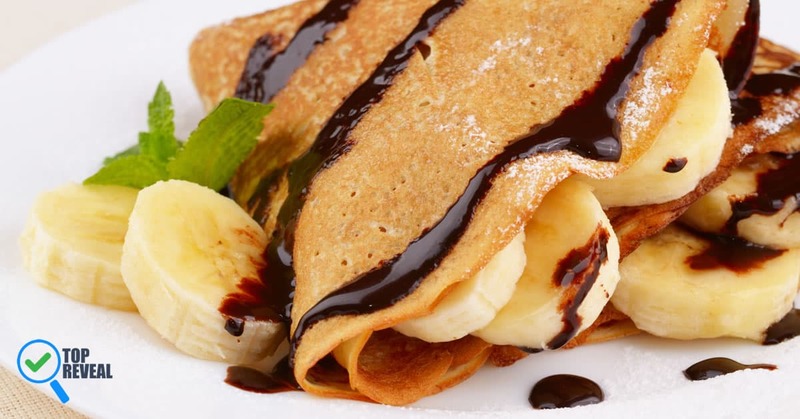 Read on for a delicious, mouthwatering guide to twenty delicious crepe recipes! 1.5 Spinach Artichoke Dip: Need We Say More? 1.19 Nutella: Literally Everyone Will Go Nuts! 1.20 Apple Pie: What’s More American Than That? 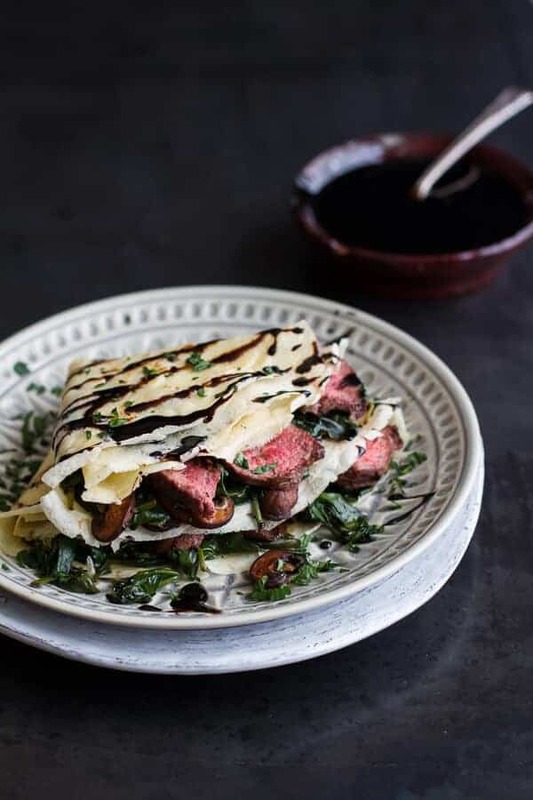 Mushroom and steak are both buzzwords that lovers of savory foods are sure to pick up on in a big bad way. 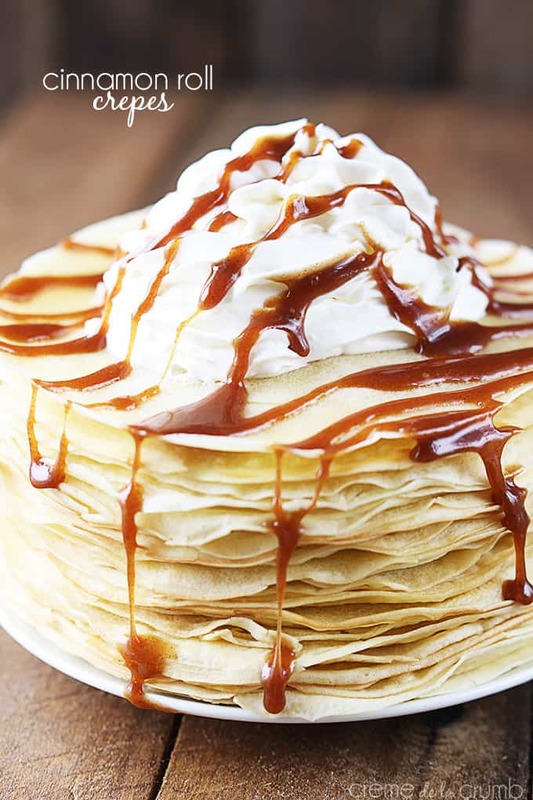 The combination is delicious in this recipe by Half Baked Harvest for the fact that it is being enhanced by the deliciousness of a crepe covering. Blueberries in any sweet treat are always so soulful and delicious aren’t they? 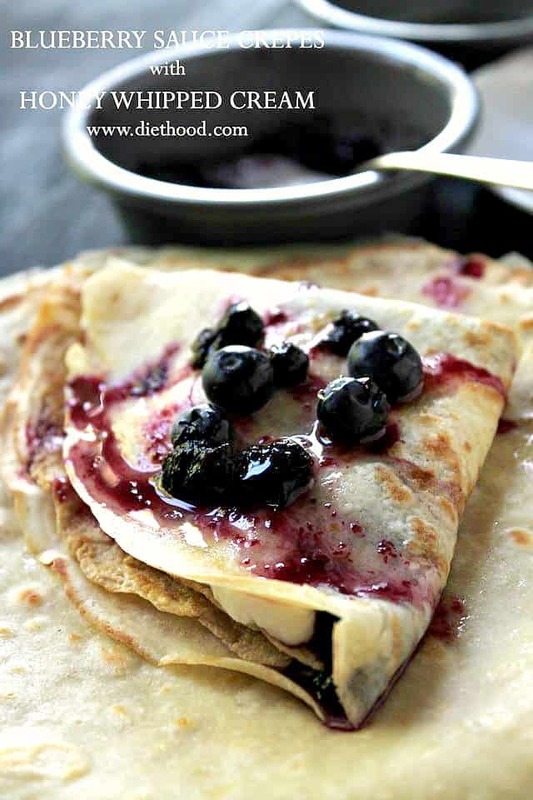 There is a true classic, almost heartwarming component to a blueberry crepe that will make it a welcomed addition to any family breakfast table, as will this recipe by Diethood. Come summer time there will be few better crepe options than this sweet treat. 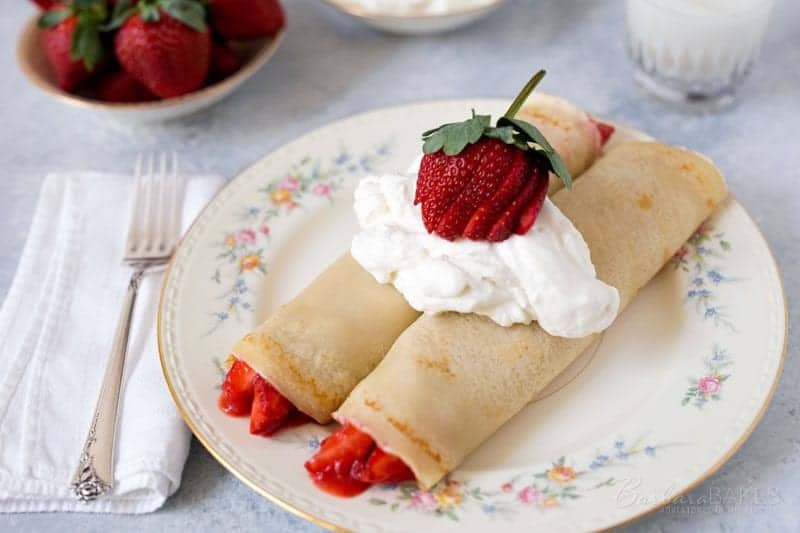 The strawberry crepe is another classic option that your friends and family will go nuts for. Anything with crème cheese is delicious. 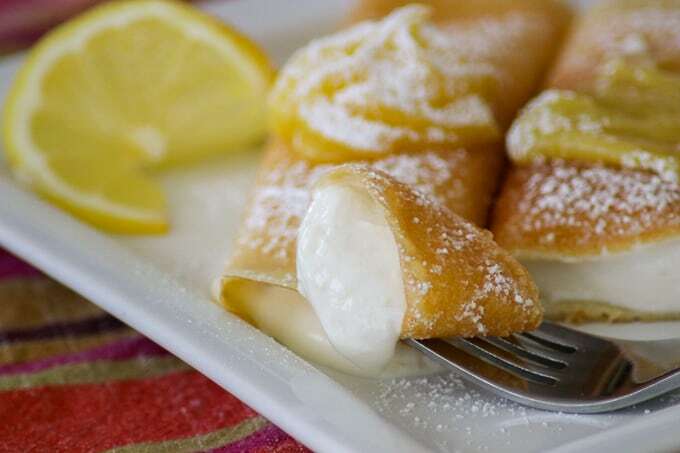 The cream cheese crepe recipe is a delightful desert option that, though heavy in calories is even more densely packed with joy and deliciousness. Spinach Artichoke Dip: Need We Say More? When you combine the deliciousness of a crepe shell, with the additional deliciousness of artichoke dip, you get this recipe from Fat Girl Trapped in a Skinny Girl’s Body. Truly, need we say more? There is a chocolate lover inside all of us. This crepe from Center Cut Cook is sure to satisfy the cravings of even your greatest coco fanatics. Lemon sweets: it’s a love it or hate it sort of affair, isn’t it? While not everyone enjoys a good lemon filling, this recipe on 365 Days of Cooking and More is solid enough to give even the lemon dissenters a good reason to reconsider their perspective. Crepes don’t have to be unhealthy. 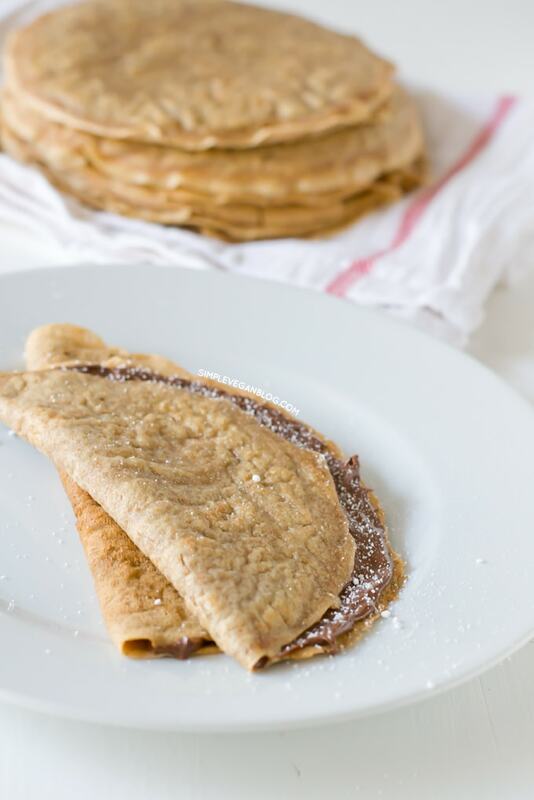 If you are interested in saving some calories and making sure that your clothes still fit right after breakfast then wheat crepes like these from Naturally Ella is going to be your friend. Filling your crepe up with an assortment of your favorite fruit like the Gunny Sack did is an excellent and delicious way to incorporate some vitamins into an otherwise sugary treat. Bacon. We are all crazy about it, and with this recipe by Olymel we can enjoy it in a way that we never have before. 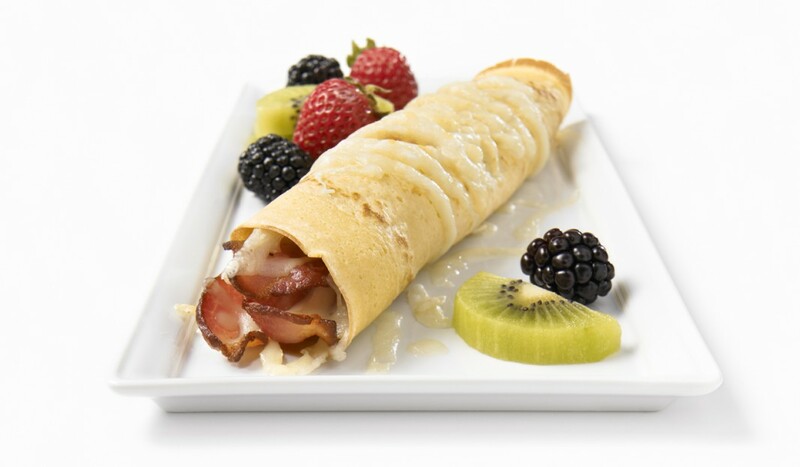 Bacon crepes are undoubtedly going to make you extremely popular around the breakfast table. See other Crepe-Pans for you cooking. There is nothing that says “lovingly prepared breakfast,” quite like the taste of cinnamon. These crepes on Le Creme de la Crumb are sure to trigger the nostalgia gland in guests at your table. You don’t often think of parmesan cheese when you hear the word crepe but the combination is actually quite delicious. Give this unique recipe from Big Oven a try and you won’t be sorry. Who doesn’t love a peanut butter cup, right? 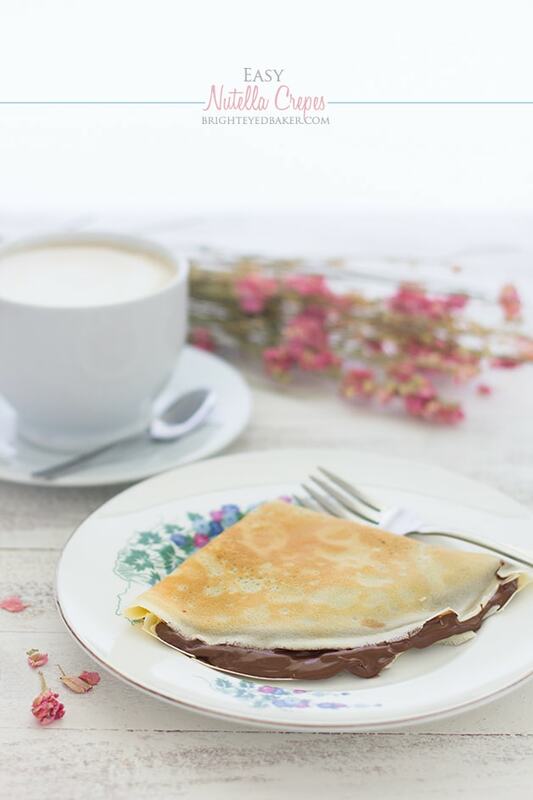 This super sweet recipe by Cafe Delights brings your favorite candy bar into crepe form for results that are sure to be pleasing to, well, anyone with taste buds. The egg bake crepe is a good, filling option for a delicious, satisfying breakfast. In this Martha Stewart recipe, ham is listed as the filling, but of course, you can get creative and fill the treat with any meat or vegetable of your choosing. If the name of this recipe alone did not make your mouth water then something must be wrong with you. This is one of those recipes where each word of its title is better than the last. Created by Good Housekeeping it’s perfect for the fall, or really, for any time of year. Where are the salmon lovers at? This savory recipe from Food & Wine is simple to prepare and perfect for any meal of the day. It can be hard to find good vegan recipes, but just because you have diet restrictions doesn’t mean that you shouldn’t enjoy delicious meals, right? If you are a vegan this crepe from Simple Vegan is sure to keep you satisfied. 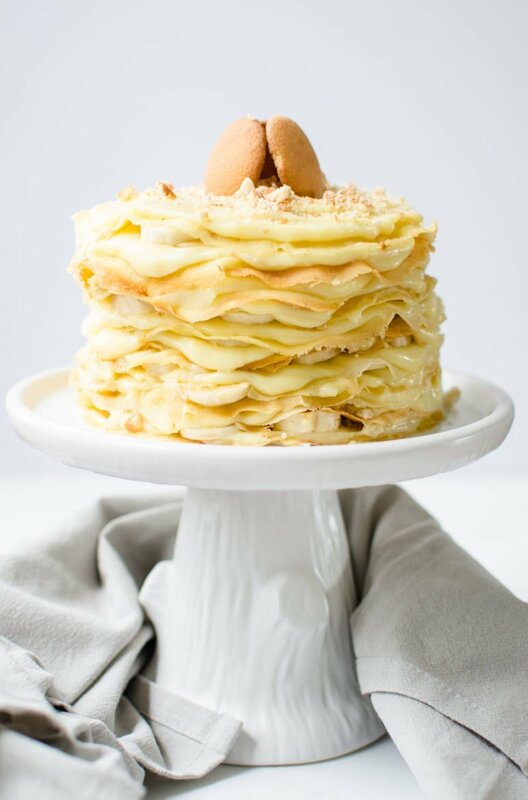 Banana cream pudding is a dessert table staple and it gets even better when you stuff that delicious filling into a lovingly prepared crepe. The banana lovers in your family will go, well, bananas over this delicious crepe from Sweet Cayenne. Nutella: Literally Everyone Will Go Nuts! There probably really isn’t even a need to try and convince someone to embrace something with the word Nutella in it, is there? This recipe by the Bright-Eyed Baker is exactly as delicious as it sounds. 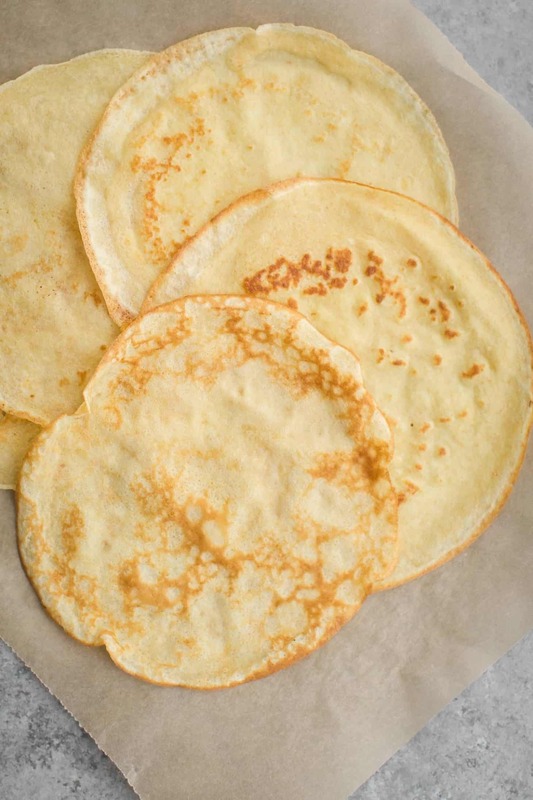 Our bet is that your family will be trying to scoop these delicious crepes of the pan if you decide to try and make this incredible recipe. Apple Pie: What’s More American Than That? Last but certainly not least we have the apple pie crepe. 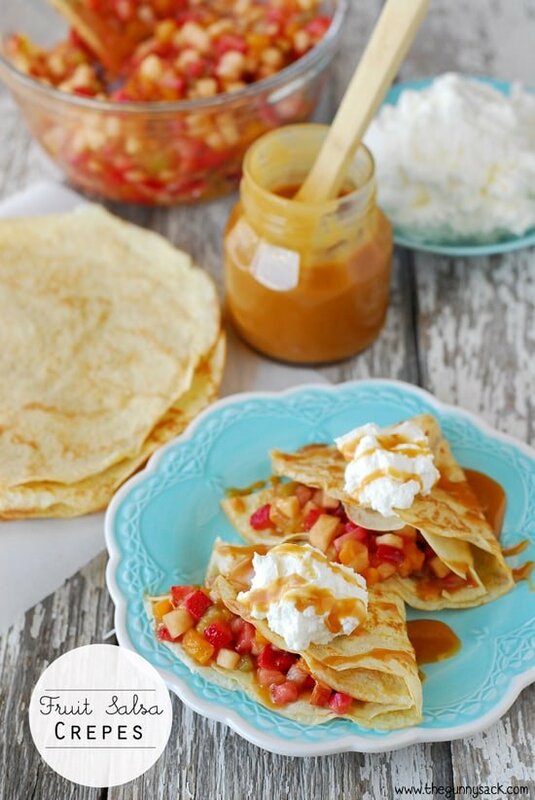 If you are like us, you love apples, you love pie, and you love crepes. It’s another case of a recipe that gets better and better with each word. To put it mildly, this sweet, delicious recipe is going to be a crowd pleaser. Well, there you have it. Is your mouth watering yet? Our mouths are watering. As you have seen from this list there is something from the world of crepes for everyone. There is quite a bit of option son this list for people of every taste. Our hope is that you will try and enjoy the recipes on this list. If you do try them out, please let us know what you think by leaving us a comment below!